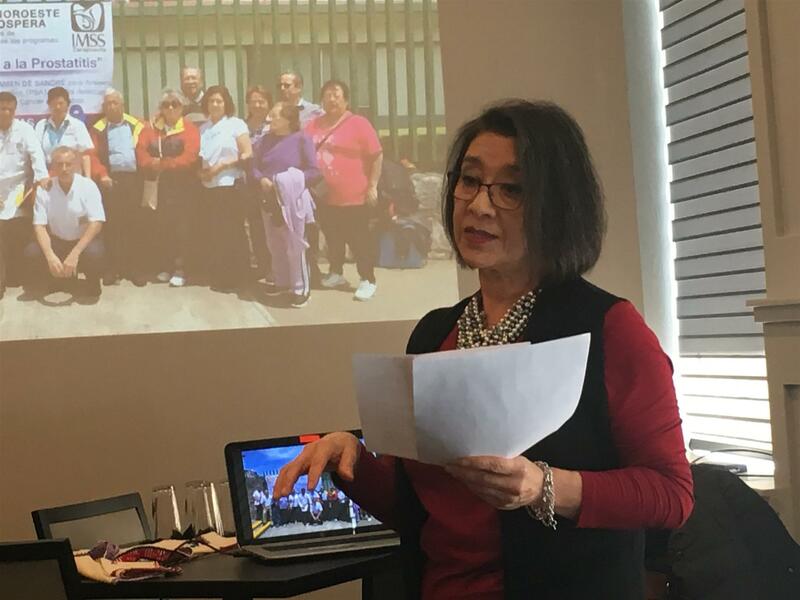 Today we met for our first meeting at the LA Bistro and were pleased to have guest speaker Claudine Mereb give us an update on activities at the Rotaria Puebla Noroeste Club in Mexico. President Sue Kowalski started us on time today for our first meeting at the new LA Bistro in Canton (off of Cherry Hill Rd. and Sheldon Rd. on the N.E. corner). We were pleased by the many lunch menu options and appreciated the support to try out their overhead projector system in the back conference room. It worked easily with a modern HDMI connection with the room sound system. Note, they also have free Wifi if needed. A tentative Jan. 28th Meeting will be at Zukins as a joint meeting with the Livonia Club. More details will follow. Feb. 4th Evening Meeting - We are looking for a proposal for the location of this venue. Feb. 16th is our 5th Youth Exchange Bowling event from 12:00 pm - 4:00 pm at Plymouth Plaza Lanes. Members are encouraged to attend. Save a spot in your Winter weekend for some easy going bowling, pizza, and fun. Please see John K. or Ansel if you need some info. Please keep May 10th -12th of 2019 on your Radar - The Next District Conference is in Windsor at Caesars - Friday (night) / Saturday / return Sunday. Again at popular request this is super affordable for 2 at $1050 for this location right across the Detroit river in Windsor. 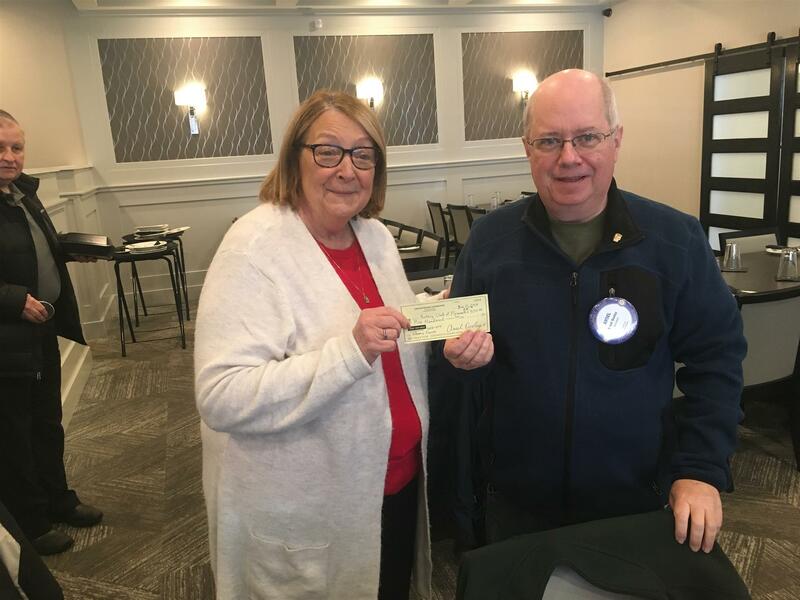 Ken called a quick meeting of the Canton Rotary Foundation Board and note a donation of $500 was made to the Ghana project at the conclusion of the club meeting. 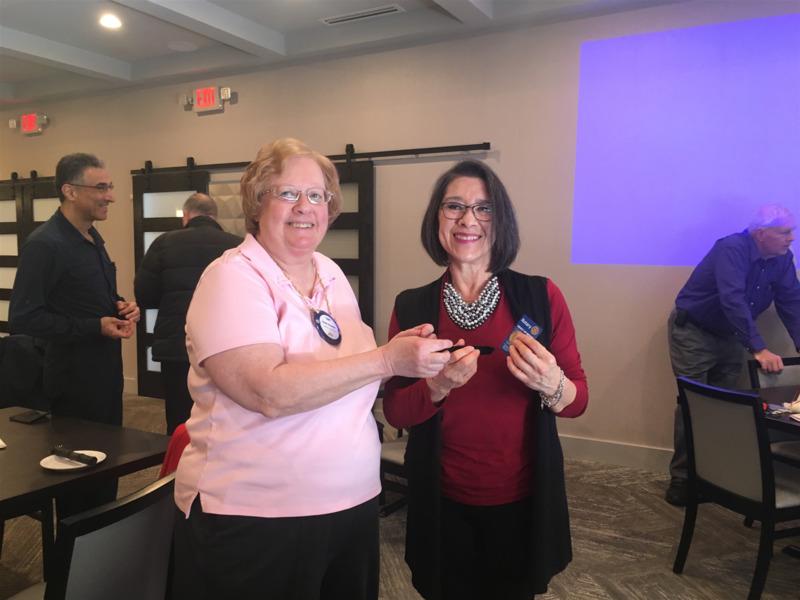 We were also pleased to have the Rotary District 6400 good company of PDG Donna Schmidt and Plymouth AM Rotarian Jeanne Knopf DeRoche of the Vocational Training Team. Claudine Mereb returned to visit our club again as our guest speaker today and brought along an excellent visual presentation of the activities of the Rotario Puebla Noroeste Club in Mexico. She included a background on the club history there and then illustrated the local topography, typical commerce, and cultural activities in the nearby towns in the region. She then went into more detail on the programs there sponsored by the local club that included local fund raising made by a traditional 5K race on META Earth Day started in 2002, elderly support programs, and the focused support for cancer screening in the local population there. She offered the club local sponsorship and guidance to receive Rotarian representatives from the Canton Club to see the club operations and visit with peoples there first hand in the future. FYI, their next 5K race is April 27th 2019. Note, this could lead to a cultural learning road trip for Canton. No win on the 50/50, but the jackpot grows at the LA Bistro.